Another full day with 60 miles to the South. 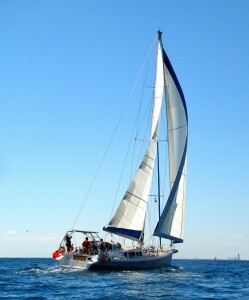 Early departure means calm waters and we can sail or motor-sail while taking turn at Scrabble, a new challenge for Dunnery. 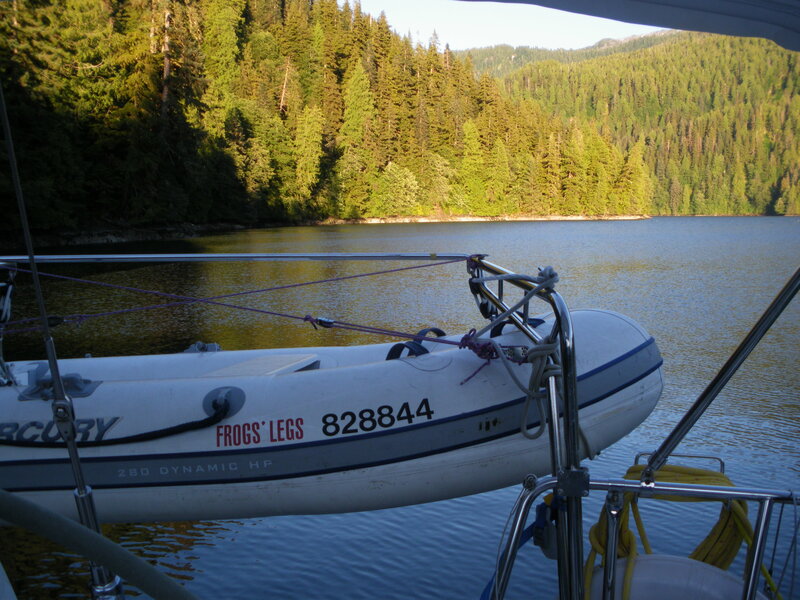 When we reach the arm between Gribbell Island and Princess Royal Island, we have to alter course and go around three large fishing boats with their nets going out half way into the passage and hanging from shore from trees near the marker. We are a bit annoyed as they do not answer Channel 16 on the radio and it is only when we get close that we can see the submerged nets marked by floaters obstructing the way on the East side. More appalling is the fact that they are allowed to rake the ocean like that, giving the salmon no chance of escape. And the pink salmon is running, we see them everywhere doing their belly hops practising for the waterfalls up river where they spawn. 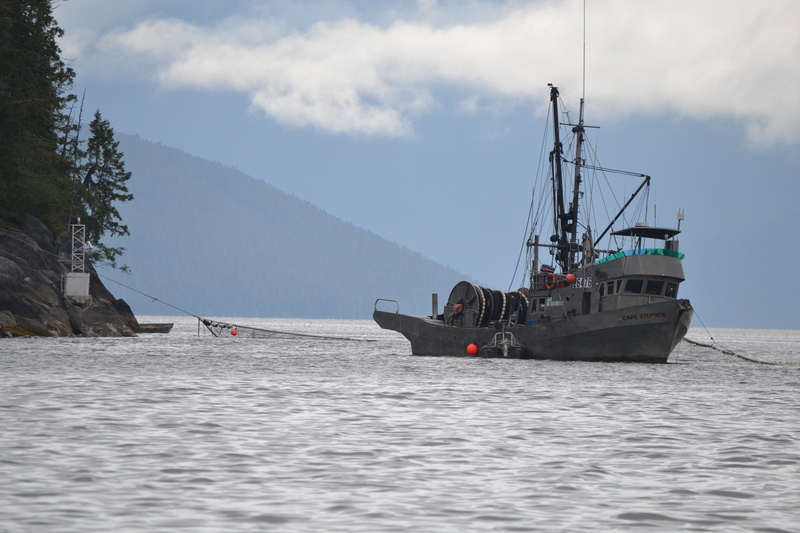 Well the pink salmon near Hartley Bay is not getting much of an opportunity to spawn. 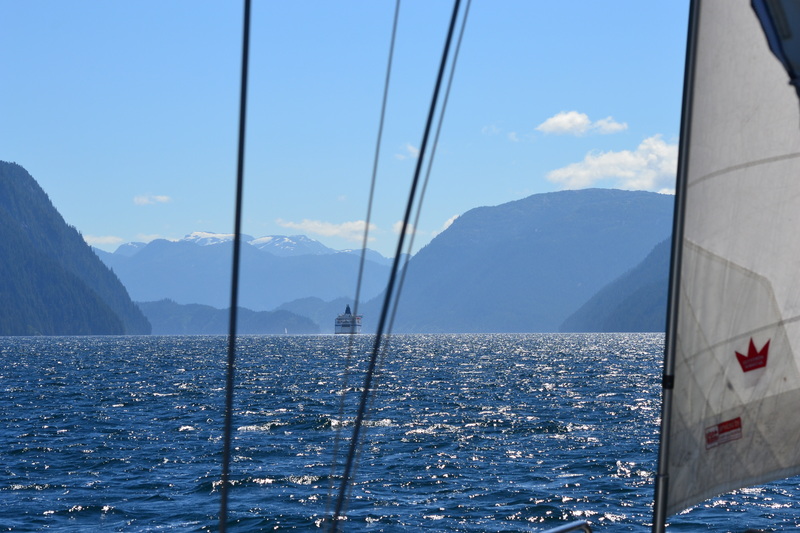 By 2:30 pm the thermal winds are barreling up Graham Reach and by 4:00 we are wind-burnt enough and pull into Green Inlet to anchor at Horse-fly Bay. The flies are no worse as anywhere else around here, maybe because the horses have gone when the logging subsided. We are in a small mature reserve and the birds are singing! I have a quick swim (in the still chilly water) and Dunnery paddles to the head of the inlet. We are beat now, off to bed early. 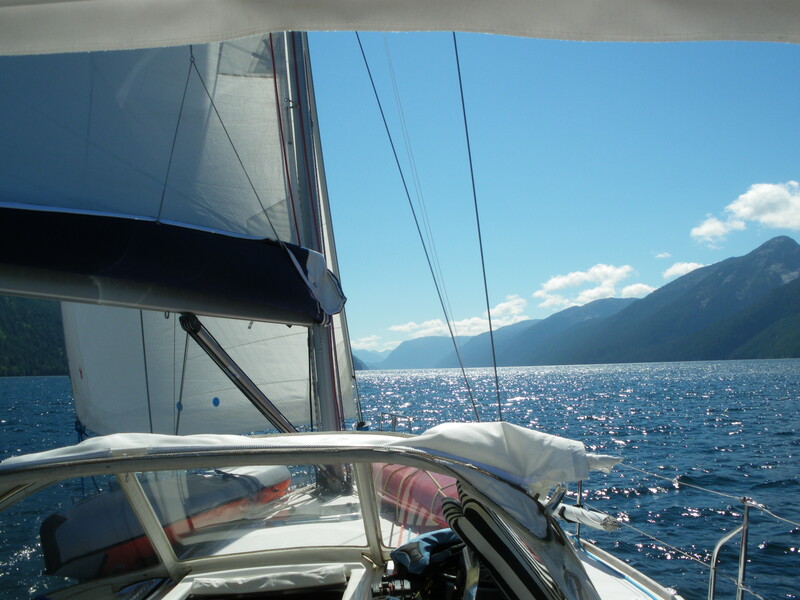 This entry was posted in The Log and tagged Green inlet, Inside passage, sailing. Bookmark the permalink.